Nowadays, in this taut market situation, it is essential for any business activities to be able to communicate with their clients in any possible way and give them up-to-date information about their services and products. Q-net Internet/Banking/Information Kiosk, which provides an efficient channel towards customers at the right place and at the right time. It has the capability to inform and entertain the public audience or even carry out business transactions, gather marketing information etc… Each service gives adequate solution and can reduce operational costs which are the keys for successful business. 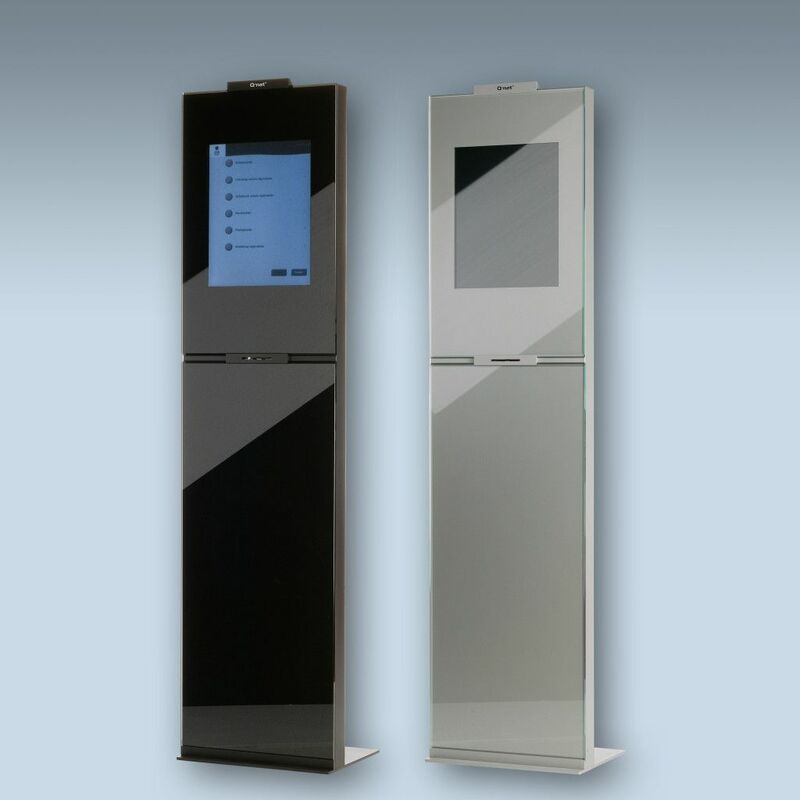 The Q-net Kiosk is available in many versions. They are all able to combine full PC features with touch-screen, virtual keyboard, or keyboard even in vandal proof metal version, magnetic or chip card reader, webcamera (e.g. : for video conference via Internet), thermo printer. As a general PC it can be installed with a standard Windows or Linux software, allowing all the applications to be run. Having a flexible designer group and manufacturing capacity, we are able to fulfil extreme requirements concerning any special shape, colouration or hardware elements. In this way the special design can represent and reflect the image of the company or its business philosophy. This entry was posted in Glassic Web, Information Kiosks. Bookmark the permalink.